Chipotle is still the king (or rey) of Mexican restaurant chains. But are its best days behind it? Shares of Chipotle (CMG) fell more than 6% Tuesday after the company said that a key measure of sales growth in 2015 may be lower than what Wall Street had expected. Of course, long-term investors shouldn't be crying in their burrito bowls. The stock is up more than 650% in the past five years. But Chipotle may be a victim of its own success. It has proven that there is demand for higher-priced burritos, tacos and quesadillas in a "fast casual" atmosphere in a way that Taco Bell (owned by Yum! Brands (YUM)) never did. The mighty Q. Enter Qdoba. Chipotle may have the most to fear from this burrito upstart, which currently has more than 600 locations nationwide. Chipotle has more than 1,700 restaurants. Qdoba, a subsidiary of burger joint Jack in the Box (JACK), announced earlier this month that it will offer guacamole, fajita vegetables, queso and some other "extras" for no additional cost to consumers. That's a bold move. It could hurt Qdoba's profit margins, particularly since the price of avocados, limes and many other food items used in Mexican cuisine are on the rise. But it's also a clear sign that Qdoba wants to take market share away from Chipotle. Qdoba fans swear that its food is tastier than the more well-known fare from Chipotle. And if you Google the term "Chipotle vs. Qdoba", you'll find a spirited debate -- with Qdoba often winding up on top in side-by-side burrito taste tests. Investors have taken notice as well. 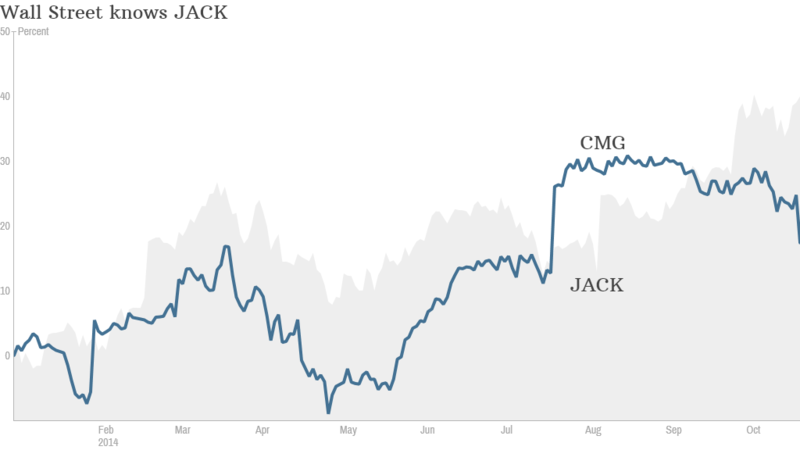 Shares of Jack in the Box are up 37% this year, compared to a 15% jump for Chipotle. And Jack in the Box's stock is not far from its all-time high either. Qdoba is the reason why Wall Street is so excited. Its same-store sales (which measures sales at restaurants open for a year) increased 7.5% in its most recent quarter from a year ago. Sales at the Jack in the Box restaurants were up just 2.4% during the same period. The company has embraced social media, with big Facebook, Instagram and Twitter campaigns for its Mango Mojo sauce and various queso combinations. It had customers vote for their favorite cheese sauce this spring in a showdown it dubbed #QuesoBliss. Chipotle is still doing extremely well. 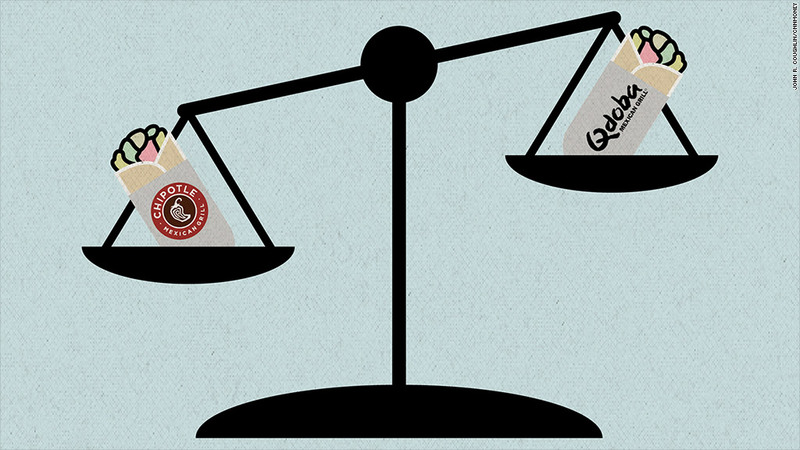 Now it's worth noting that Chipotle's growth is much higher than Qdoba's. Its same-store sales rose nearly 20% in the quarter. So why are investors so bummed? It's because Chipotle is predicting that same-store sales will only rise in the low-to-mid single-digits next year. Wall Street is all about momentum right now. Qdoba has more of it. It reported same-store sales growth of just 1.3% a year ago. Sales growth is on the upswing while Chipotle seems to be finding it difficult to keep its muy caliente pace of sales increases intact. It shouldn't be a surprise. This happens to most high-growth consumer companies. Inevitably, they reach a saturation point and also have to deal with tougher competition. Just ask Starbucks (SBUX) and Whole Foods (WFM). 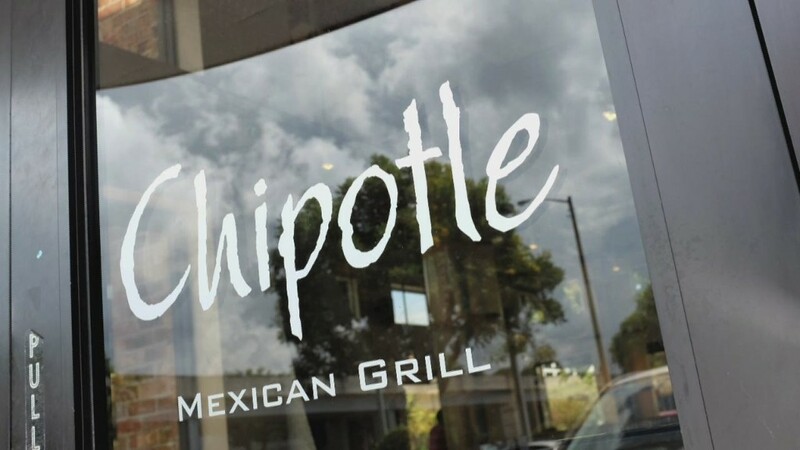 It doesn't help that Chipotle trades at a price that's more gourmet than fast casual. Even after Tuesday's drop, the stock is valued at 35 times 2015 earnings estimates. Jack in the Box trades at 24 times 2015 forecasts. That's not a screaming bargain either. But it's a lot cheaper than Chipotle.